UK quiz show Beat The Internet hosted by comedian John Robins begins this Saturday on SBS VICELAND. The show sees contestants try to finish sentences based on some of the internet’s most popular search terms. This is a 20 part series which debuted in the UK in November. It begins with a double episode. 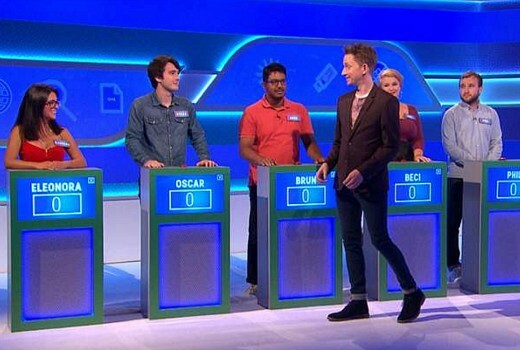 Join comedian John Robins as he hosts the comedy quiz show where contestants try to finish sentences based on some of the internet’s most popular search terms. Can five contestants predict some of the most common ‘autocompletes’ and survive to the final round? John is ably assisted by fact-master Sunil Patel, who explains just why we search for the things we do. It’s the only quiz show where humans supply the questions and robots supply the answers, and where you’re only ever one round away from being deleted from the game. Contestants should be asked to solve a CAPTCHA if they answer too many questions correctly, just to make sure they’re not a robot! On the odd occasion i listen to them in the morning, Sydney’s Kyle and Jackie O have been doing this quiz on their radio ststion for a while now. Nonetheless, i will give this show a chance. Family Feud without “We asked 100 people…”?